Comic publishers had a fantastic year in sales in 2016, and 2017 is primed for a fantastic run from all the major comic book houses and even indie publishers. Graphic novels — or trade paperbacks — also rose in popularity last year. 2016 saw DC relaunch their lineup with a strong Rebirth event, while Marvel released a slew of exciting new books, despite tripping with their Civil War II event. In addition, Image Comics, Dark Horse, Boom!, and Archie Comics all put out stellar books that year, and 2017 will hopefully build atop those foundations to deliver an even more solid year of books for all different kinds of readers. Inverse has chosen a range of exciting titles, both new and ongoing, that will release in the coming months from all different kinds of publishers, big and small. As more readers become comic book fans, the market will hopefully continue to deliver exciting and diverse books that will appeal to all kinds of readers in the coming weeks. After disappearing for a few years, Marvel’s first family of mutant superheroes are coming back in a big way with “ResurrXion”. Once the Inhumans vs. X-Men war wraps up, several key mutants like Jean Grey, Cable, and Ice Man will be getting solo comic books alongside two team books, X-Men Blue and X-Men Gold. Meanwhile, Jubilee will be leading a new Generation X team while a new Weapon X book also launches, rounding out the entire X-Men lineup. While details are under wraps, expect a lot of X-Men in 2017. When John Wick premiered in 2014, one of the best things about the film was how it felt like it belonged in a comic book world despite being an original film. Now that fantastic world of criminals and assassins will get fleshed out in a John Wick comic book from Dynamite. While the comics will take place directly after the events of the first film, the most exciting thing about more John Wick will be seeing the story’s lore fleshed out and further detailed. Kate Kane is getting her own solo series again after various appearances throughout Batman books during DC’s Rebirth. With a renewed focus on the character outside of the Batman family, and an exciting creative team, Batwoman is primed for a big year. 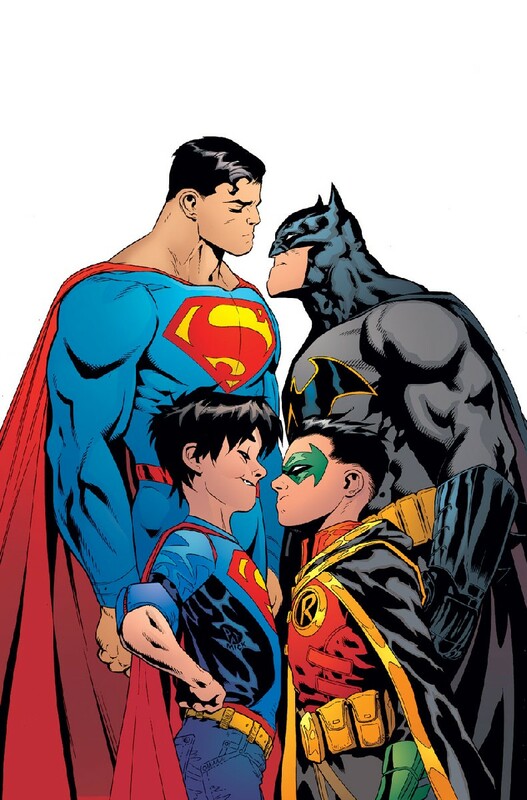 One of the best things to happen in the DC Rebirth is the new friendship between the son of Batman, Damian Wayne, and son of Superman, Jonathan Kent. The two have had a friendly rivarly since their interaction and now they will be headlining the new Super Sons comic series, ensuring that DC’s popular new duo will be given a storyline all to themselves, without their dads interfering. There’s been plenty of Aliens comic books over the year, but knowing that Orc Stains’s James Stokoe will be working on Dead Orbit is reason enough to anticipate this new Alien story. Having successfully published a Godzilla comic, Stokoe’s Dead Orbit is sure to be an exciting artistic combination, and unique companion to this year’s Alien: Covenant from original Alien director Ridley Scott. DC’s Young Animals imprint from My Chemical Romance lead singer Gerard Way was a runaway success, and DC is looking to replicate this brave venture with another reborn universe, Wildstorm. Led by Warren Ellis, the first issue of The Wild Storm will relaunch an entire new comic book universe with the introduction of Angela Spica, a transhuman that will bring about the birth or death of the Wildstorm universe. One of Marvel Now’s most anticipated new launches will be America Chavez’s solo series, Miss America. A fan favorite from her days as a Young Avenger, America has become an icon among socially progressive comic readers as a queer, Latinx character, but it’s her attitude as a punch-first, questions-later kind of superhero that has enamored her to fans as the Marvel Universe’s most gung-ho superhero. Marvel will be introducing two new books that will focus on its villains in the coming months, and both are exciting. Kingpin #1 and Bullseye #1 will each focus on Daredevil’s (and occasionally Spider-Man’s) most infamous villains, highlighting their more fun characteristics rather than focusing on their villainous tendencies. With a renewed interest in Daredevil’s New York City, maybe these comics will pave the way for future stories in the Netflix series? The Watchmen have been hanging over DC’s Rebirth universe since the beginning and 2017 will hopefully see DC creative chief Geoff John’s hinted, Watchmen-related comic book. 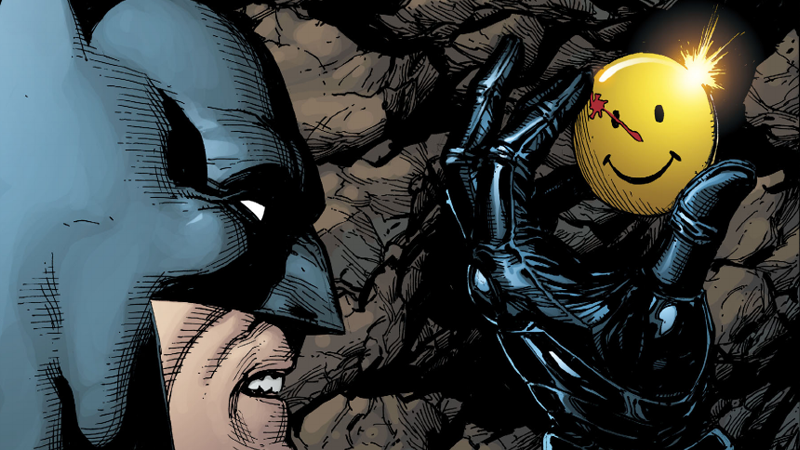 While it’s unclear whether it’s a full Watchmen book or something else, it should hopefully explain all the Watchmen-related shenanigans happening in the DC universe since Rebirth. The popular Cartoon Network series is finally getting its first ongoing series thanks to Boom! Studios. 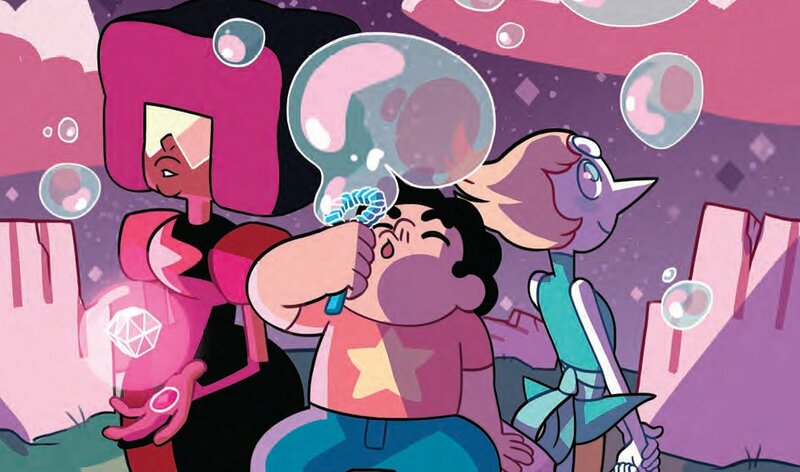 While the series continues an irregular television schedule, a steady Steven Universe comic series should hopefully tide over fans anxious for more Gem stories in Beach City. There are plenty of other exciting comic releases in 2017, including Image’s 25th anniversary line-up, as well as a host of graphic novels from various publishers, ensuring that this year will hopefully be another win for comic books as a medium.